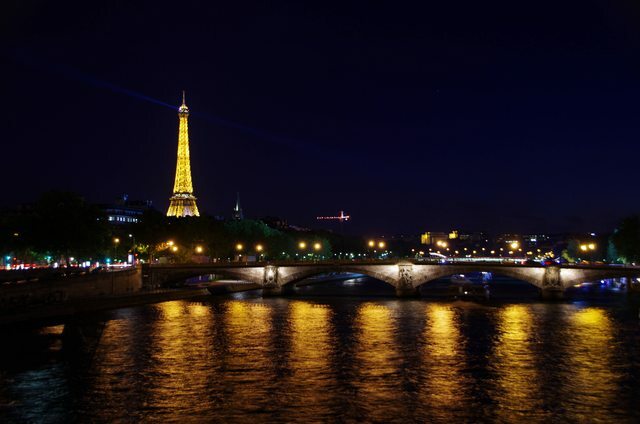 Prior to embarking on our trip to France, I contacted a good friend of mine from college (Chris — who had just gotten back from Paris) to see whether or not he brought his tripod with him on their trip, and, if he did, whether or not it was worth the hassle. I brought my tripod with me on the December 2014 trip that Bryan and I took to New York City, but I did not use it a single time. I didn’t want to bring it along on our trip to France if it was just going to sit in our hotel room the whole time. Chris more or less said, Sarah — Paris is The City of Light, if you’re going to bring your tripod on only one trip, it should be this one. 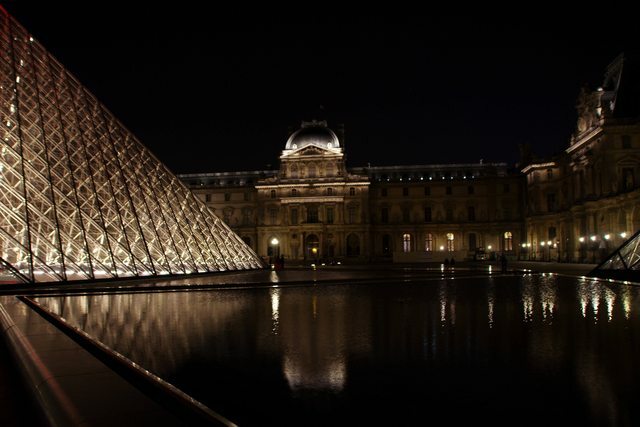 Chris took some excellent night shots during their trip to Paris, and he made a convincing argument in favor of toting a tripod overseas, so I made the decision to bring mine — and because I decided to bring it, I told myself that I would definitely use it — no ifs, ands, or buts. 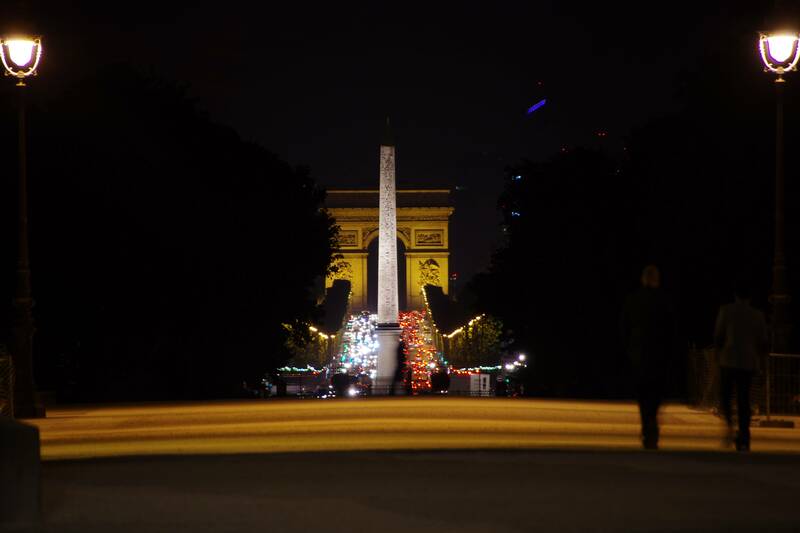 For being such a populous city and popular tourist destination, it was surprisingly easy to find places in Paris to set-up a tripod (without inconveniencing others) in an attempt to get nighttime shots of many of their popular tourist destinations. Bryan patiently (and graciously) escorted me around the city late at night (it did not get dark in April until after 10 PM) so that I could take photos of the Eiffel Tower, The Louvre, and Notre Dame. 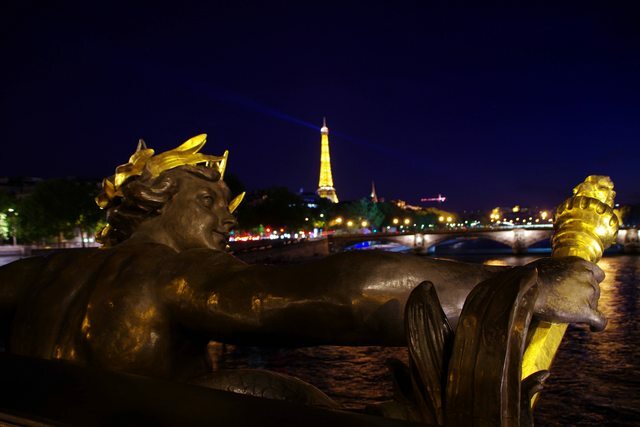 The first stop that we made for nighttime pictures was Pont Alexandre III, one of the many bridges that crosses the Seine in Paris and a location that Chris suggested for getting photos of the Eiffel Tower at night. The location definitely did not disappoint, and being able to get portions of the bridge, the Siene, and a neighboring bridge all in the same photograph as the Eiffel Tower made the photos a little more interesting. Here are two of my favorite shots from that location. On our final night in Paris, we took the metro to a stop near Cathédrale Notre Dame de Paris. 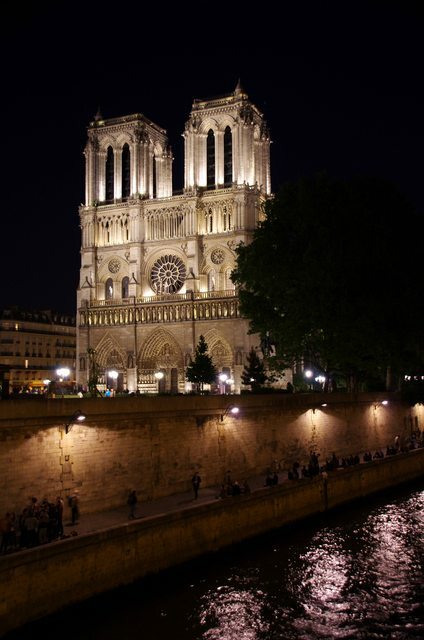 I took a couple of quick photographs of Notre Dame, and then we started walking along the Siene towards the Musée du Louvre. 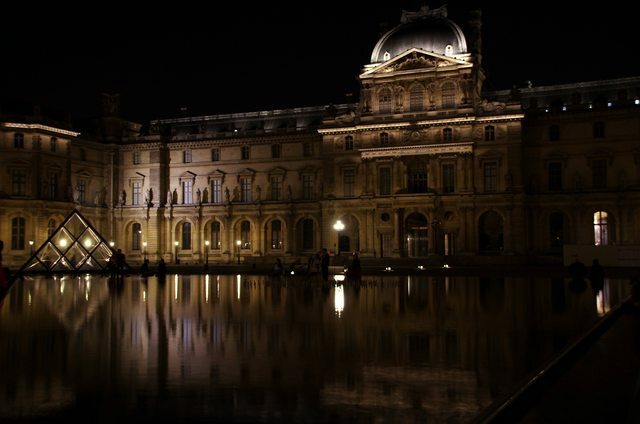 Paris felt so alive at night — it was a nice change of pace from our sleepy, little Panhandle town. 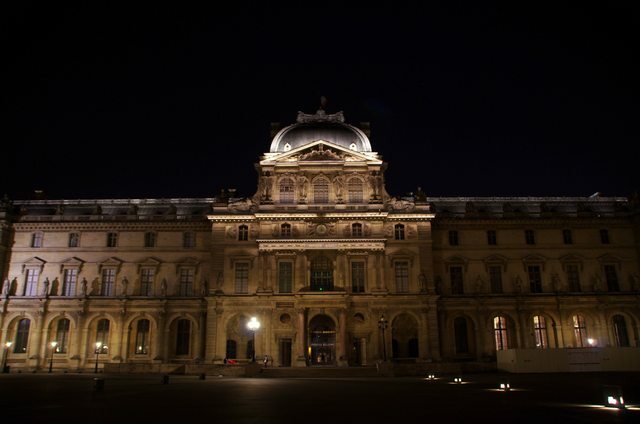 The Louvre is beautiful at night and looks mysterious in its dim (but sufficient) lighting. I can only imagine how much more beautiful it would have been without the ugly, out of place, modern, glass pyramid taking up a big portion of the courtyard area. Even with my distaste for the modern monstrosity, I will admit that the fountains surrounding the pyramid did provide the opportunity for some neat looking reflection photos. Taking nighttime pictures always tests and stretches the limits of my abilities as a photographer. Our home in the Texas Panhandle does not offer many opportunities for taking nighttime photos, and we don’t typically leave the house after dark (because we’re old). It was fun to try my hand at something that enticed me out of my comfort zone with the reward of capturing some of my very own shots of La Ville Lumière. One of my favorite things about taking nighttime photos is that it’s somewhat difficult to pick up on all of the details while you’re shooting the photograph. The photo below was one of the greatest surprises when I was finally able to view the photographs on my computer. When I was taking this photograph through the Arc de Triomphe du Carrousel, I knew that the obelisk was at Place de la Concorde. I definitely did NOT know that all of the traffic that was visible was on Avenue des Champs-Élysées, nor did I know that the Arc de Triomphe de l’Étoile (which most people just refer to as the Arc de Triomphe) was in the background. Reblogged this on Christian Gingerella's WordPress Blog. Thanks for reblogging my post and for letting me know!